Built for Frank H. Goodyear of Buffalo, New York, this cottage was restored in 1973 and now serves as a gallery space. 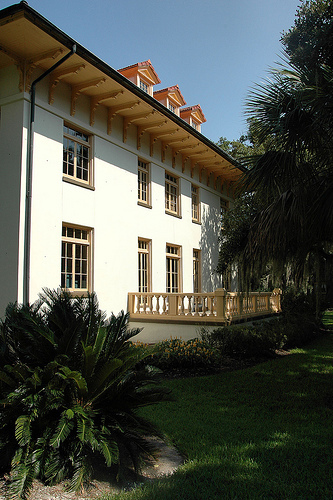 Goodyear Cottage is the only home in the National Historic District open every day, FREE, to the public and serves as the home of the Jekyll Island Arts Association,Inc. There are a sales shop and an art gallery with exhibits that change every month, and the second floor is now used for classroom space. The Arts Association has been in Goodyear Cottage since 1976.